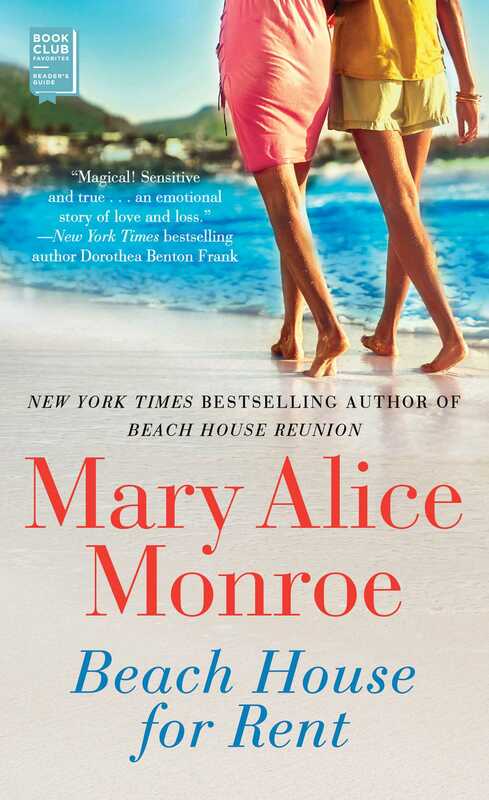 Get swept away to the beautiful and breezy Isle of Palms with New York Times bestselling author Mary Alice Monroe’s return to her “exceptional and heartwarming” (Publishers Weekly) Beach House series, set in South Carolina’s lowcountry. Two women. One summer. One very special beach house. Cara Rutledge rents her quaint cottage on Isle of Palms to Heather Fordham for the entire summer. As beautiful as the Isle of Palms is, Heather’s anxiety keeps her indoors with her caged canaries as she paints birds for postage stamps. Eventually, however, the shore birds—and a man who rescues them—lure her outside. As the summer progresses and Heather begins to blossom, Cara’s life reels with sudden tragedy. She wants only to return home but Heather refuses to budge from her sanctuary. As everything around the ladies is coming apart, they discover they can only rely on each other. Now, the two women who don’t really know each other are forced to live together and support each other as they navigate the next chapter of their lives. Featuring Monroe’s signature “lyrical, emotional, and gripping” (RT Book Reviews), Beach House for Rent demonstrates the power and strength of female friendships. THE BEACH HOUSE sat perched on a dune overlooking the Atlantic Ocean. Small and yellow, it blended in with the waves of sweetgrass and sea oats and the delicate yellow primroses for which the cottage was named. For eighty-five years it had endured the fury of hurricanes, the rush of tidal surges, and the ravages of the salt-tinged air. It had withstood the test of time. The beach house was a survivor. As was she, Cara Rutledge thought, staring up at the house. She held a paintbrush in one hand and, shading her eyes from the gentle rays of the sun with the other, surveyed the fresh coat of gleaming white paint she’d just finished applying to the front porch and railings. How many times had she painted these porches? she wondered. Or repaired the pergola, fixed the plumbing, trimmed the shrubs and trees? Living by the sea was a constant exercise in the art of nip and tuck, especially for an old cottage like Primrose. But she didn’t mind the time or expense. She would repair and paint it every year she could still lift a paintbrush or afford a plumber. Because even more than the historic house on Tradd Street in Charleston, or the treasured, centuries-old family antiques that filled the Rutledge family’s home, this modest 1930s beach house held the real memories of her family. Only the good memories, she corrected herself with a wistful smile as her thoughts floated back to the halcyon days of her childhood. When she was growing up, summer meant leaving the bustle and noise of Charleston and coming out to Primrose Cottage on the Isle of Palms with her mother, Olivia, and older brother, Palmer. It might have been only a trip across the Grace Bridge, some twenty miles, but back in the day, the change was so significant they might as well have journeyed to another country. Many of the girls she knew from school spent summers at family cottages on Sullivan’s Island. But her mother claimed she preferred the relative isolation and the maritime forest on Isle of Palms. Cara, too, had preferred the Huck Finn lifestyle of Isle of Palms, where her mother would open the screen door and let her children run wild till the dinner bell at 5 p.m.
Cara sighed, slipping into the vortex of memories. Her gaze scanned the quaint cottage under the brilliant azure sky. She had achieved many lifetime firsts here. She’d learned to swim on the beach just beyond the house, kissed her first boyfriend on the back porch, confided secrets with her best friend, Emmi, over cookies and sweet tea in the kitchen, broken her first bone falling from the live oak tree that thrived until Hurricane Hugo blew it down. She’d caught her first fish from Hamlin Creek on the back of the island, and made love with Brett amid the clicking sea oats on the dunes. Of all her memories, those of the man she’d fallen in love with late in life, married, and forged a new life with here on Isle of Palms were the sweetest. Cara closed her eyes and took a deep breath, inhaling the sweet sea air. She heard the sounds of the island—the soft humming of bees, the purr of the ocean. She felt the caress of a breeze ruffle her hair. Whenever she had memories of the beach house, the image of her mother formed in her mind. Olivia Rutledge, affectionately known as Lovie—slight, ageless, her blond hair pulled back into a stylish chignon, her blue eyes shining with warmth. Opening her eyes, Cara almost expected to see her mother walking around the corner carrying the red turtle team bucket. Primrose Cottage had been her mother’s beach house. No, Cara thought on reflection. More than her house. The cottage had been her mother’s sanctuary. Her place of refuge. Her source of inspiration. Lovie had come here to escape the burdens of her social obligations in Charleston. On the island she was free to pursue her passion—sea turtles. Lovie had been the Isle of Palms’s first “sea turtle lady.” She’d formed the first turtle team. She’d even named her only daughter Caretta, after the Latin name for the loggerhead, much to Cara’s lifelong chagrin. They’d been close when she was young, but as Cara grew tall and statuesque, her opinions matured as well. She’d found herself growing increasingly distant from her mother—in fact, from both her parents. When Cara was eighteen, to her traditional father Stratton Rutledge’s disappointment, she had refused to become the southern belle she was expected to be. Her hair was too dark, her feet too big. She was too tall, too bookish, and far too independent-minded. After graduating high school with honors, Cara had informed her parents, in a tone of voice that implied she was well aware they would not approve, that she wasn’t going to the local college they’d selected for her but would instead attend a northeastern college. Perhaps Boston University. Maybe even Harvard. She was proud she’d been accepted. Her father, however, wasn’t accustomed to back talk, especially from his daughter. But Cara was more like her father than he’d realized. She’d turned heel and run as far away from her parents, that house, Charleston, and all the expectations and demands of a southern woman from South of Broad as she could get, heading to points north to seek her freedom, fame, and fortune. Her father was as good as his word. He’d cut her off and never looked back. He refused to pay her tuition, so she’d never gone to a prestigious Boston college. Instead she’d nailed an interview for an entry-level position at an advertising firm in Chicago, and had gone to night school for seven years while working full-time, finally earning her degree in communications. She’d climbed the corporate ladder and, though she wasn’t wealthy, she’d achieved success on her own merit. Cara had come home only once, for her brother’s wedding, and sent a handful of Christmas and birthday cards over the years. There was the occasional phone call with her mother. Her relationship with her family was polite at best. When her father died, Cara returned home for his funeral. Like the man he’d been throughout his lifetime, his will was cold and vindictive. As Stratton had sworn all those years ago, he didn’t leave her as much as a stick of furniture. Cara had neither expected nor wanted anything from him. But the silence from her mother upon finding out that he’d made good on his pledge had hurt. Then, on Cara’s fortieth birthday, her mother had written asking her to come home for a visit. And she’d obliged. A weekend at the beach house had turned into a summer of reconciliation. “Oh, Mama,” she whispered so softly that her voice was carried off by the breeze. Cara had lost Lovie again to cancer right after they’d found each other once more. Even after ten years, Cara’s heart yearned for her. Her father had left everything to Palmer. But the beach house was her mother’s, and when Lovie died she’d left it to Cara, knowing she would care for Primrose Cottage—and all the secrets associated with it—with the love and attention to detail that Lovie herself had exhibited. And Cara had fulfilled that promise. Studying the beach house in the softening light of day’s end, Cara shook her head ruefully. If someone had told her when she was eighteen that decades later she’d be back on the Isle of Palms as mistress of Primrose Cottage, she would have laughed out loud with disbelief. But here she was, turning fifty, living on the Isle of Palms again, married to the love of her life and giving Primrose Cottage yet another coat of paint. “What goes around comes around,” her mother used to say. Cara chortled and shook her head. As usual, her mother was right. Cara rolled her stiff shoulders, then traipsed across the sand and wildflowers to the waiting bucket of soapy water. She set her brush to soak, then put her hands on her back and once again stretched her aching muscles. Fifty certainly wasn’t the new forty, not in Cara’s opinion anyway. No more daydreaming, she told herself as her usual practical, no-nonsense attitude kicked in. Rental season was around the corner and there was a lot left to do—and she couldn’t afford to hire anyone else. She was committed to keeping the beach house up to the standards set by her mother. Still, she’d miscalculated the strength of the early spring sun and she could feel the pinpricks of sunburn on her arms. The sound of a car pulling up the gravel driveway distracted her. She stopped studying her arm and looked over her shoulder to see her brother’s gleaming white Mercedes sedan easing to a stop. He gave a gentle toot of the horn to herald his arrival. She chuckled, thinking Palmer always arrived with fanfare. She removed the man’s denim shirt irretrievably splattered with paint, one of Brett’s rejects, from over her black T-shirt and tossed it on a nearby wheelbarrow. The front car door swung open and one polished slip-on tasseled loafer peeked out from the car, then Palmer Rutledge hoisted himself out with a muffled grunt. At fifty-two, Palmer was two years older than Cara, but he looked a good decade older, thanks to the bloated, florid face and the paunch at his waist from his lifestyle as a businessman and successful real estate maven. While his habits had led to a less-than-healthy physique, Cara couldn’t deny that Palmer had an enviable sense of style. Even as a boy he’d always been an impeccable dresser, a sharp contrast to Cara’s tattered, beachy sartorial choices. Today he wore a tan golf jacket over a polo shirt and pressed khakis. Cara wiped the flecks of paint from her hands onto her torn jeans and took a step toward him, a smile of welcome spread across her tanned face. Her brother held out his arms and she walked into them for a bear hug, highlighting the physical ease and sense of closeness that they shared as children remained. Cara believed their mother’s death had made them not simply orphans, but all too aware of their own mortality. “That man sure is handy,” Palmer said as he followed her. Cara knew he meant it as a compliment. Palmer had tried for years to get Brett involved in flipping houses, especially on the islands. But Brett was as stubborn as he was talented. He truly loved working with wood. He was as much a craftsman as a builder. Like so much else in his life, he did things his own way and wouldn’t be hurried. She led the way around the cottage, her shoes crunching in the dry sand and shells. Cara kept the property wild, as nature had intended. Only palm trees, wild grasses, and flowers sprouted on her property, especially in the spring, when the island was practically bursting with life. Wildflowers colored the dunes with soft yellows, vibrant blues, and fiery oranges. In the trees birds sang out mating calls, while overhead migrating birds soared, returning home from southern climes. This side of the beach house faced the long stretch of dunes that reached out to the Atlantic Ocean. The mighty sea reflected the mood of the sky—sometimes dark, turbulent, and gloomy, other times a soft, introspective gray-blue. Today the water was the color of unbridled joy and hope, a blue so vivid the horizon line disappeared where sea met sky, creating an infinite stretch of blue. Sunlight danced on the ocean, making it appear a living, breathing thing. Cara paused to stare out in awe. The dazzling sea always had the power to take her breath away. “Beautiful day,” Palmer said with gusto, rocking back on his heels and echoing her thoughts. “It is,” she replied softly, sharing the moment with her brother. His words broke through her quiet reverie as she realized Palmer wasn’t appreciating the spiritual quality of the view, but rather the commercial value. He spoke as if she didn’t realize all these fine points of her own home. Going for the hard sell, as always. She turned her head to scrutinize him. Her brother was, in fact, wearing business attire, she suddenly realized, not the sporty shorts and Tommy Bahama shirts he wore for leisure. His gold signet ring caught the sunlight and drew her attention to the papers he was carrying in his doughy hand. Cara sighed inwardly, even as she steeled her resolve. This wasn’t a social call. Palmer had come on business. Without speaking, she turned the corner of the house toward the back. She nodded as she surveyed the thick, treated wood of the pergola. Once it was sun-cured, she’d paint it a glistening white. The sound of hammering drew her gaze upward. Brett was perched on top of a paint-splattered ladder, hammering nails into the pergola with focus. Brett was a big man, broad-shouldered and fit. He wore ragged tan shorts, a faded plaid shirt with rolled-up sleeves, and scuffed work boots, revealing the leathery, tawny skin of a seaman. Her mind flashed back to when she’d returned home that fateful summer and had seen him hanging on the nets of a shrimp boat, every bit as dashing as Errol Flynn. Brett Beauchamps was the love of her life, and even after ten years of marriage, bits of gray hair notwithstanding, the sight of him could still make her swoon. The hammering stopped and he turned her way. She couldn’t see his eyes behind his Ray-Ban sunglasses. One of Brett’s strengths was his work ethic. He was tireless, pushing himself without pause. She knew he wouldn’t stop until the job was done, and done right. Palmer followed her as they crossed the work zone, his gait slow and measured. Cara watched as Palmer walked around the sunroom, his head swinging from left to right to take in the new glass doors, swung wide open to admit the balmy breeze of the mercurial spring weather, the Mexican tile on the floor, the tall green plants and white wicker chairs with cushy, bright blue cushions. She’d decorated the space in clean lines to allow the undistracted eye to seek out the ocean beyond. This view was what the tourists came for, she knew. Twenty years as a successful advertising executive in Chicago had taught her a few lessons. Cara couldn’t stand his patronizing tone, but didn’t want to get into another round of debate on the reality of climate change with her older brother. It wasn’t worth it, and she only ended up infuriating herself. He’d say the moon was a wheel of cheese if it sold a house. She allowed him the final word. She led Palmer from the sunroom into the main house. Here nothing had changed since their youth, save perhaps for there being fewer of the knickknacks, family photographs, and books that her mother had cluttered the house with. Like many women of her generation, the older Lovie had got, the more reluctant she became to throw anything away. Every photo had to be saved, every memento ensconced on a shelf. When Cara inherited the house she’d promptly cleared away the clutter, painted the rooms a soft ocean blue trimmed neatly with clean white, replaced the family oriental rugs with ones made of grass, and selected only a few pieces from her mother’s vast art collection to remain on the walls. But she’d kept the timeless chintz chairs and sofa with their Palm Beachy flowered pattern. The result was a house still filled with her mother’s furniture, art, and most prized possessions, but with a younger, fresher feel. “The place looks good, Sister,” Palmer said. “Why thanks,” she said, striding with her long legs to the small galley kitchen. Here changes had been made as well from when the house had been under Lovie’s purview. Even while her mama was still alive, Cara had repainted the old white wooden cabinets, but over the past few years she’d replaced all the old appliances with gleaming stainless steel ones. She opened the fridge and pulled out the pitcher of tea. Although she’d provided a new set of white dishes for the rentals, she still kept her mother’s old china locked in an out-of-the way cabinet for her own use on the few nights she came here to sleep in her mother’s bed. Cara retrieved a key from the back of a drawer and unlocked the cabinet. Smiling at seeing the mismatched china and crystal her mother had enjoyed using at the beach house, Cara reached for two of the old Waterford cut-crystal tall glasses. She quickly added ice, poured two glasses of tea, and handed one to Palmer. She watched, pleased, as he drank thirstily. When he finished, he released a long, satisfied sigh. He laughed, a low, throaty chortle that prompted her to join in even as she inwardly agreed with Julia. Her brother had gained at least fifteen pounds in the last decade, but Cara wasn’t going to be the one to tell him. She suspected Julia told him often enough as it was. Cara groaned loudly, shaking her head. Here we go, she thought. Their mama had once told her that Palmer was the sort of person who was always hungry for more, in both a literal and a figurative sense. He was never satisfied. Palmer was like their father this way. Palmer had been angry when he’d learned that Mama was leaving Cara the beach house, even though he’d already inherited the big house on Tradd Street and all its expensive contents. But Palmer wanted the beach house, too. Not because he loved it, but because he’d always had big plans for developing the property. “We might could get around that,” he said with a dismissive wave. Whenever her brother slipped into the vernacular, she knew he was deep in thought. Palmer looked out at the empty lot in front of them the way Cara looked at the ocean. Where she saw beauty and felt a near-spiritual sense of awakening, he saw dollar signs. Cara didn’t grace him with a reply. She picked up her glass and turned her head away to look out the window as she sipped her tea. He paused and waited for her to look back at him. His eyes gleamed. Cara listened, chewing her lip. She’d love nothing more than to get in early on a deal like this. Palmer had good contacts that went deep in the city’s politics. The kind that were forged in school days. God knew, she and Brett needed the money. But their financial situation wasn’t such that they could consider big investments. When her brother talked like this, his tone and body language eerily reminded her of their father’s. And a more pugnacious, proud, callous man she’d never met. “Palmer, just stop,” she shot back in a tone that brooked no argument. Brett stood at the sunroom entrance, a lazy grin on his handsome face. His long arms stretched out as he leaned against the doorframe. The man filled the doorway with his size. His face was flushed from exertion, but Cara immediately recognized the relaxed manner that always came from having finished a tough job to his satisfaction. Palmer walked toward his brother-in-law with his hand extended and the two men shook hands warmly. Friends since they’d been surfing buddies in their youth, they’d followed diverging paths as adults when Palmer assumed his role in old Charleston society and Brett, indifferent to the social hierarchy, followed his passion as a boat captain on the sea. “Brother, don’t you have any control over your wife?” Palmer asked jovially. Brett dropped his arm from Cara and put his hand on his hip and looked at Palmer more attentively. “Brett,” Cara interjected testily, trying to ward him off the topic. “No harm in asking,” Brett said. Palmer was like any fisherman who feels the first tug on the line. He rubbed his jaw and took a step closer to Brett. When he spoke, it was in that man-to-man tone that set Cara’s teeth on edge. Palmer didn’t even realize he’d turned his back on Cara. Or, more likely, he absolutely did. Cara swallowed hard. These rooms signified more than a house to her. This house was not just her mother’s touchstone, she realized. It was hers as well. If she sold the beach house, she’d be selling a part of herself. The best part. If Palmer had left it at that, peace would have prevailed. The pain came so quick and sharp Cara sucked in her breath. She felt Brett’s arm settle on her shoulder with a reassuring squeeze. Palmer was unaware of the dagger he’d thrown. The father of two children, he couldn’t understand her and Brett’s sense of loss. Not having children was their single greatest regret. Cara couldn’t stop the anger that sparked from the comment. She stepped out of Brett’s hold toward her brother. At five feet ten inches, Cara was eye-to-eye with her brother. Cara had moved on from her corporate life. Even though in the past ten years she had adopted Brett’s more laid-back lowcountry lifestyle, vestiges of her former ball-busting self still emerged when pushed. Cara stared Palmer down with an icy glare that would have sent shivers through her former colleagues in the boardroom at Leo Burnett. This reading group guide for Beach House for Rent includes an introduction, discussion questions, and ideas for enhancing your book club. The suggested questions are intended to help your reading group find new and interesting angles and topics for your discussion. We hope that these ideas will enrich your conversation and increase your enjoyment of the book. Two women of different generations are bound together one summer by a very special beach house. Since returning to Isle of Palms ten years ago, Cara Rutledge, 50, has settled into a quiet, slower-paced life with Brett, her husband. She finds comfort living close to the beloved home she inherited from her mother—the same home she rents out for the summer to 26-year-old Heather Wyatt. Heather is an artist who travels to Isle of Palms to paint shorebirds commissioned by the US Postal Service. Since her mother’s death years earlier, Heather’s anxiety has kept her indoors at her father’s home. But living alone on the island, going out to the beach every day in search of shore birds, feeling the ocean waves at her feet, the sun on her face—and meeting a gentle young man working on the beach house—chip away at her fears and open her up to new possibilities. As the summer progresses, these two women’s paths suddenly collide, presenting challenges and opportunities that will change not only the course of their summer, but the rest of their lives. 1. In the first two chapters, we learn of Cara’s young adulthood—particularly, of her troubled past with her family and her late-in-life reconciliation with her mother. Can you relate to Cara’s experiences? Is it ever too late to reconcile with someone after years of absence? 2. Heather’s anxiety makes her resistant to change. How do you react to changes that occur in your life? Do you understand Heather’s trepidation to move to Isle of Palms for the summer? Is her father’s insistence that Heather move out an example of tough love? 3. Turning fifty is a milestone that stirs up lots of emotions for Cara. She’s searching for the passion that she feels is missing in her life—and which she sees in Heather. After years of putting aside her dreams, she doubts whether she can find it again. Discuss how her infertility struggles and working for Brett’s business prevented her from exploring her own career interests. Is Cara experiencing a midlife crisis? Has a milestone birthday or event ever made you reassess your plans? How important is it to continue pursuing your passions amidst the challenges of our daily lives? 4. Heather is very attached to her canaries. She says her mother’s pet canary “saved her” after her mother passed (p. 71). Discuss how animals can offer stability and love to their owners in times of need Do you have any pets that help you through changes in your life? 5. Heather claims she felt the presence of Cara’s mother, Olivia Rutledge, on her first night at the beach house. Do you believe this could happen? What do you make of Cara’s reaction? Is she jealous, as Brett suggested, or does her response run deeper? 6. Cara’s connection to her mother is closely tied to her involvement with sea turtles. Discuss the impact of the pivotal scene on the beach when Cara witnesses the mother sea turtle come ashore. 7. “Her fear kept her as caged as her canaries. The glass windows were no different than their metal bars” (p. 128). Describe Heather’s struggles with anxiety. How does it affect her? What steps does she take to overcome her fears? Do you suffer from anxiety or know someone who does? How do you, or they, handle it? 8. 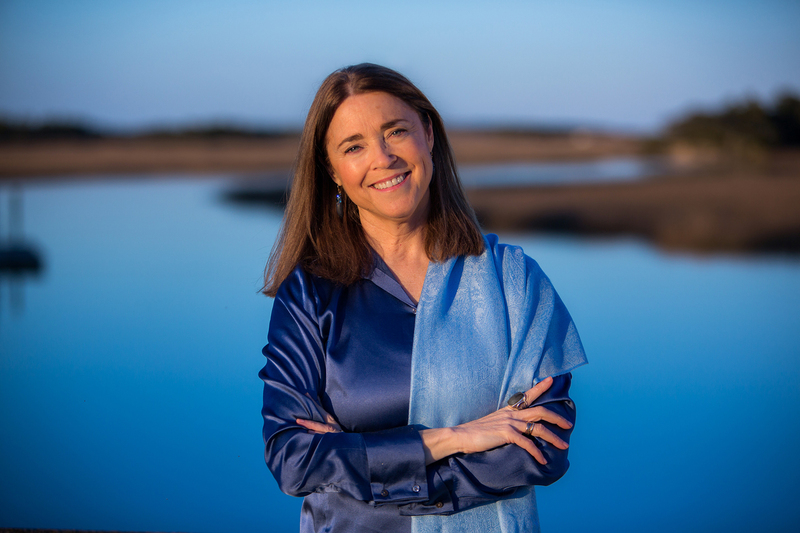 Mary Alice Monroe often writes about the disconnect many people feel with nature. Heather is cut off from nature by her anxiety. Is this fear of going outdoors to experience nature or the wild common today? Discuss the metaphor of Heather’s mental cage and whether you think many people are also trapped indoors or are shut-ins. 9. Primrose Cottage (the beach house) is beloved by both women, but for different reasons. What does the house symbolize to each of them? Do you have a place that represents something special to you, too? How does the beach house setting influence the course of events in the novel? 10. Trauma and grief are major themes in this novel. Consider Cara’s and Heather’s experiences with death. How did they each come to terms with their loss? Discuss the methods they use to help each other. Do they ever come to a place of healing? 11. Navigating a romantic relationship is anxious territory for Heather. How does her anxiety interfere with developing any relationship? Discuss how common the negative voices in our heads are when we feel vulnerable or faced with confrontation. Do you have a worry stone? 12. The novel is rich with descriptions of nature and its healing powers. Heather quickly becomes enchanted by the island’s beauty after settling into her new beach rental. “Suddenly the path opened up, and she stood before the vast vista of sea and sky as dawn broke around her. Great shafts of rosy light spread across the gray sky. The beach below, washed clean by the tide, shimmered in the pearly tints of the sunrise” (p. 134). How is nature a source of strength for Heather, or to other characters in the novel? Is there a particular scene or passage that stood out for you? Does nature play a role in your life? 13. Discuss the structure of the novel. Cara’s and Heather’s stories approached the themes of grief, anxiety, and passion from different viewpoints, allowing varying perspectives of age and experience. What parts of their past helped you better understand their present selves? Who did you relate to more? 14. Cara believes that when she moved back to Isle of Palms ten years ago to care for her mother “she could see that thinking of another person made her open up and heal herself” (p. 210). Acknowledging this, how can Cara heal herself once more? Is moving back to the beach house the best way to mend her grief? Do you think her plan is inconsiderate to Heather? What would you do if you were Cara? What do you make of the two women’s resolution? 15. Beach House for Rent is set against the backdrop of shorebirds. Monroe introduces readers to different species and the threats. When you go to your favorite beach, how will this novel influence your appreciation as well as your actions? Discuss the birds in your area. How many species can you name? How can you help protect them? 1. Incorporate art into your next book club meeting! If you live near an ocean or park, go with your book club members to paint or draw some of nature’s treasures. You could also venture to a Paint and Sip class for a more organized (and instructional) group activity. 2. Visit Isle of Palms! The wonder and peaceful beauty of this southern beach destination comes to life through the pages of Beach House for Rent. Plan a summer vacation with your family or friends to explore the island’s exquisite beaches and charming town. 3. Read The Summer Girls, the first book in Mary Alice Monroe’s Lowcountry Summer series, for your next book club meeting. And to find more books by Mary Alice Monroe, visit http://maryalicemonroe.com/. 4. Beach House for Rent can be read alone, but it is also the fourth book in the Beach House series. To go back and read more of the Rutledge family of Charleston read Mary Alice Monroe’s The Beach House, Beach House Memories, and Swimming Lessons. 5. Beach House for Rent offers a glimpse into the life of someone struggling with social anxiety. What have you learned about social anxiety from reading the novel? Discuss with your book club. To learn more about anxiety, visit the Anxiety and Depression Association of America’s website at https://www.adaa.org/.